Projector's Marketing Talks are informal meetings with marketers. Anand Houston is running the business from 18 years old. Anand is an owner of 3 businesses: advertising agency, the investment firm and e-commerce. 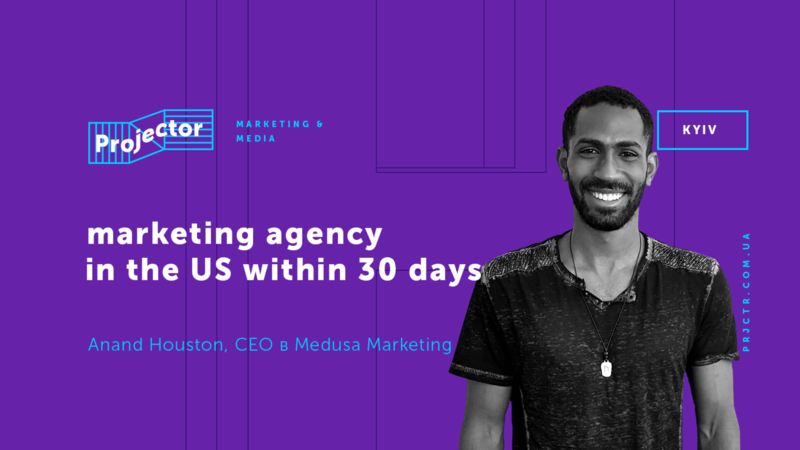 He scaled an agency Medusa marketing from 0 to 1 million within 6 months. — 34x scaling of clients' business using Facebook ads.